Joe Hart is England's number one goalkeeper, and is currently on loan at Torino. His parent club Manchester City could listen to offers for Hart this summer. Joe Hart could be set to play for a Premier League team once again next season with reports claiming that the England international is set to join Liverpool in the summer. The England No.1 was loaned out to Italian club Torino at the start of the season after Pep Guardiola deemed him surplus to requirement at Manchester City. However, Guardiola's whole plan backfired as Claudio Bravo, who was bought to take his place, has been nowhere near his best. As a result, the former Barcelona manager has had to switch between Bravo and second choice keeper Willy Caballero this season. Despite the ongoing goalkeeping problems at Manchester City, Guardiola still does not trust Hart and is willing to let him go in the summer. Hart had his heart set on a move to a Premier League club itself at the start of this season, but Guardiola and Manchester City did not want him to go to a Premier League rival. Now, things have changed at Manchester City and they are ready to let him leave after his years of service at The Etihad stadium. 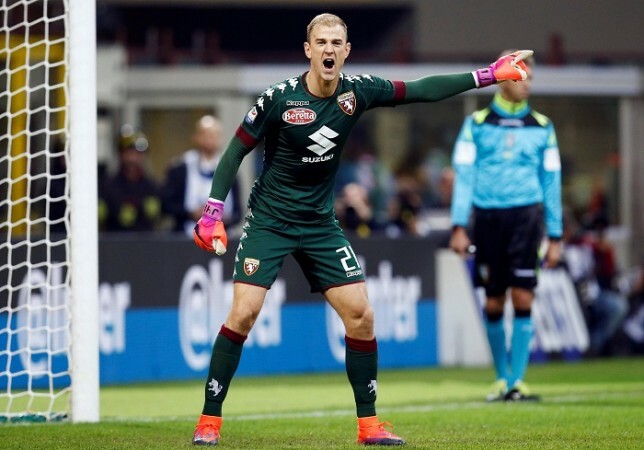 Hart has already become a fan favourite during his short spell at Torino and the Italian club were determined to extend his stay in Italy, but can't afford him and have accepted defeat in trying to keep him at the club. Checkout some of Joe Hart's best saves for Torino so far this season. The former two-time Premier League winner with Manchester City is still considered a top goalkeeper in the Premier League and a lot of top clubs are still after him. The likes of Chelsea and Manchester United could lose their first choice keeper in Thibaut Courtois and David de Gea to Real Madrid and have also targeted Hart. However, reports say that Jurgen Klopp is leading the race for Hart at the moment and is determined to sign him after still not being convinced by Simon Mignolet despite a few good weeks between the posts recently. Loris Karius, who was bought at the start of the season was Klopp's number one choice initially, but he too failed to impress. Liverpool have improved leaps and bounds under Klopp, but still lack a few things to become title contenders and Klopp feels adding Hart to their ranks could change that. Hart has a lot of experience in the Premier League and has won two titles and an FA Cup and his addition to Liverpool could be the start of something new at Anfield with the Reds also preparing for Champions League football next season. Earlier this year, Klopp had stated that Liverpool will be spending a lot of money in the summer to improve their squad and the German is willing to spend around £20 million for the 30-year-old goalkeeper.